British Lawmakers Vote To Extend Bombing Campaign To Syria : The Two-Way Prime Minister David Cameron had argued that Islamic State militants represent a threat to Britain, and his appeal took on greater urgency after the terrorist attacks in Paris. British Prime Minister David Cameron won approval from Parliament to expand airstrikes against Islamic State militants into Syria. Britain's House of Commons has voted overwhelmingly to launch airstrikes against Islamic State militants in Syria, bolstering the U.S.-led campaign against the group. The vote was 397-223, with support coming from both the ruling Conservatives and some Labour MPs. Britain's Royal Air Force already participates in the campaign against Islamic State militants in Iraq. Lawmakers were asked to decide whether to extend the bombing runs into Syria as well. Prime Minister David Cameron had argued that the Islamic State posed a threat not just to Syria but to Britain as well, and his arguments took on greater urgency after the Nov. 13 attacks in Paris. 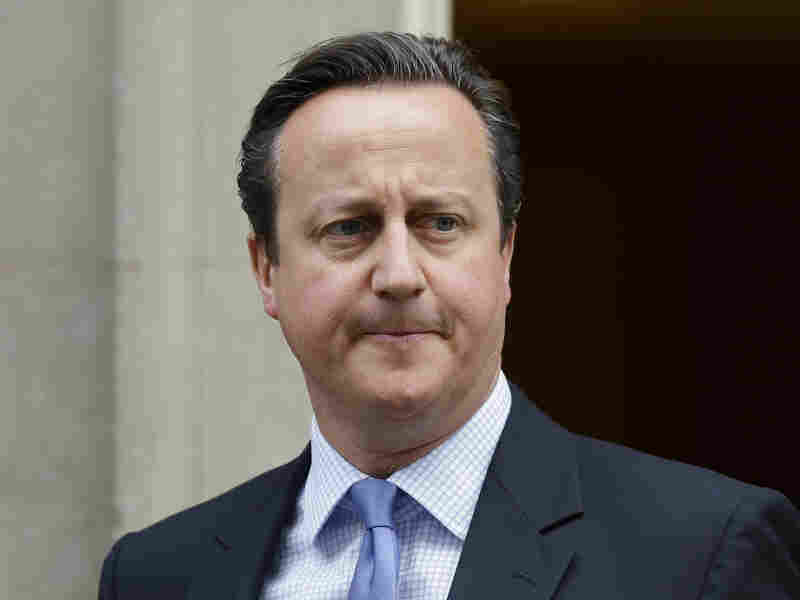 "He warned that Isis was already posing a threat to the UK. It had inspired the worst terrorist attack against British people since 7/7 on the beaches of Tunisia and plotted atrocities on the streets of Britain, he said." The head of the Labour Party, Jeremy Corbyn, had opposed involvement in Syria, arguing that British missiles would make little difference. "The prime minister has been unable to explain why extending airstrikes to Syria will make a significant military impact on the existing campaign," Corbyn said. "We are here faced by fascists. Not just their calculated brutality, but their belief that they are superior to every single one of us in this chamber tonight and all of the people we represent. They hold us in contempt. "Our party has always stood up against the denial of human rights and for justice and my view, Mr Speaker, is that we must now confront this evil." In the aftermath of the Paris attacks, France has stepped up its bombing of Syria, and Germany's Cabinet has approved a plan for German participation. "I commend Prime Minister David Cameron and Secretary of State for Defense Michael Fallon for the leadership they have shown in the fight against ISIL, as well as the commitment they have shown to our common defense by deciding that the United Kingdom will continue to meet the pledge that all NATO allies made in Wales to invest at least two percent of GDP in defense."